Sure, the advertising world of bygone decades makes a fantastic setting for a TV show (though we’ll admit, we’re not regular viewers…guess we’re still a little bitter that the show usurped the Wire’s final chance at awards show glory). 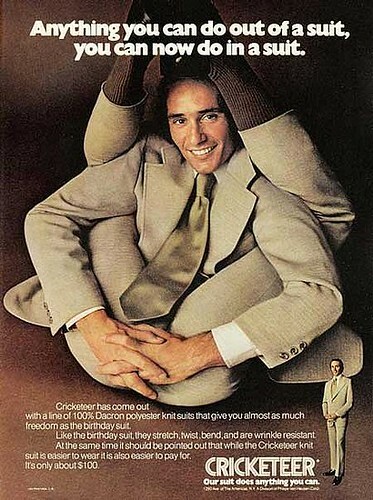 However, it was also the heyday of ads that are disturbing, off-putting, or simply bizarre to modern sensibilities. 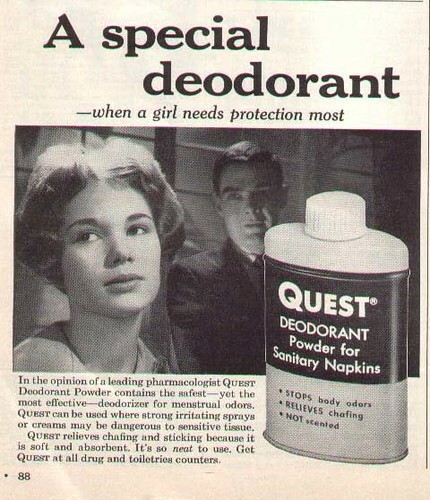 Flickr user SA Steve has compiled a truly mammoth collection of vintage advertising images. 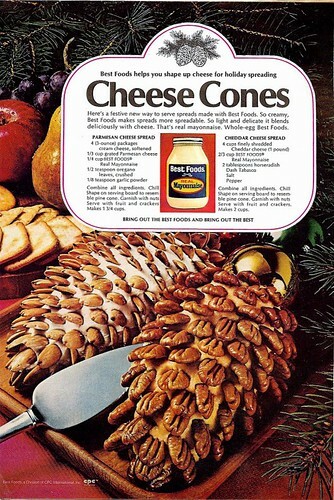 Let’s start with a lovely holiday treat that is sure to appall your guests with its combo of fat-laden cheesiness and stomach-turning visual grossness. 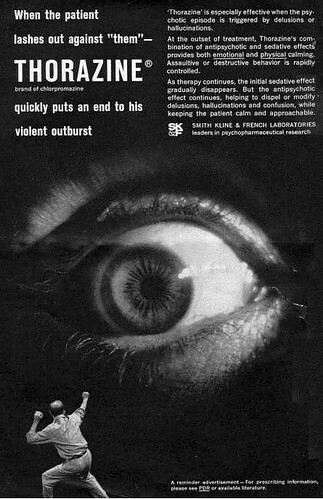 You think prescription drug ads are strange now? 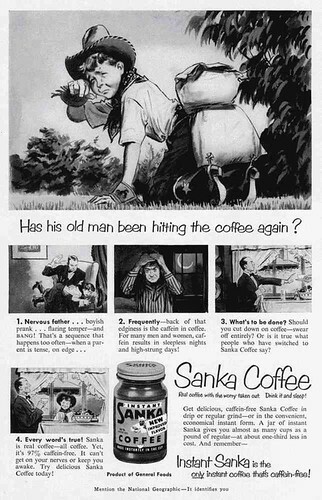 Sanka. The only coffee brand that won’t result in child abuse. 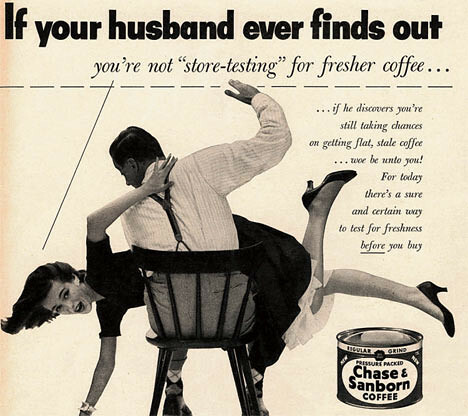 What was with coffee back in the day? Dudes were beating up their entire family over it! 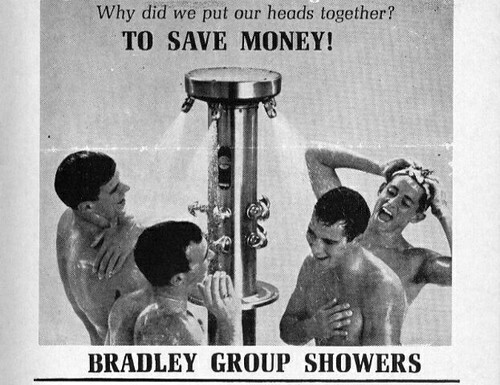 On a lighter note, in this time of economic apocalypse, this next ad presents an idea that urban roomies might want to consider. This next one is so dated and offensive, it’s almost come full circle to being witty and postmodern. SORRY in advance for this next image, but there were a bunch of these and ultimately, our will to resist posting one was whittled down to a toothpick. A toothpick that was snapped in half by the VERY weird dude lurking in the background of this ad! Here’s a REALLY charming image, summoning a move that has worked for us countless times. 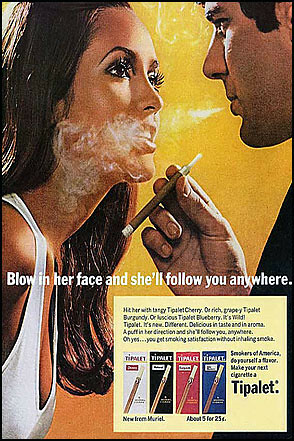 The ladies go BOY-CRAZY when you blow smoke in their grill! Try it this weekend, fellas. This next one ought to make a comeback as part of the GWOT. 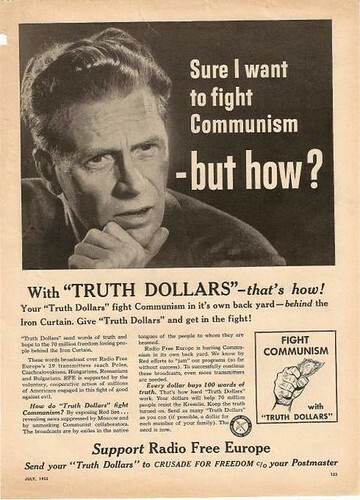 Donate your Truth Dollars to fight Bin Laden in a propaganda war! 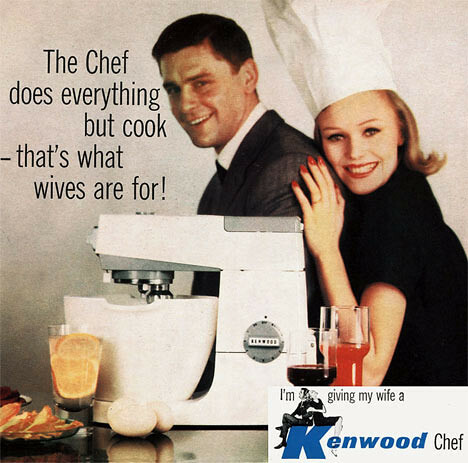 Let’s wind up this trip through the offensive, unintentionally funny and simply strange world of old-school advertising with an image that really, really, really does not make us want to buy the product being advertised. SA Steve has over 1000 images in his collection. You may want to set aside your afternoon to peruse them all.